Siding | 41 Lumber - Serving Iron Mountain and the U.P. Diamond Kote, an innovative finish was introduced after other traditional methods of painting weren’t meeting builder and homeowner expectations. We set a goal to be different. From our engineered colors, to our application process, to our packaging, and to our 30-Year No Fade Warranty, the message is simple. Pre-finishing with specialized paint and sprayers in a clean, indoor environment equals a better product. Choose from 30 colors or create a custom color; the possibilities are endless. Introducing Rough Rider, our new line of rustic premium panelings and sidings. 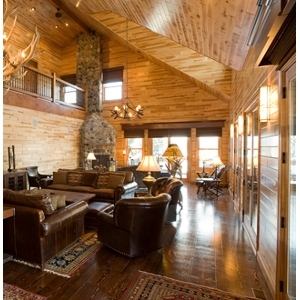 Rough Rider products employ a unique process that transforms new wood, giving it a deep texture and a contoured raised grain, replicating the appearance of years of weathering. Click here to learn more! 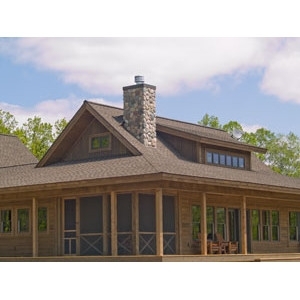 SmartSide™ products provide the warmth and look of wood without many of the problems associated with natural wood. The cedar grain texture is embossed into the boards providing better continuity of definition making the depth of the grain more visible. The boards are embossed and not cut, allowing better performance against weather and moisture. Click here to learn more! 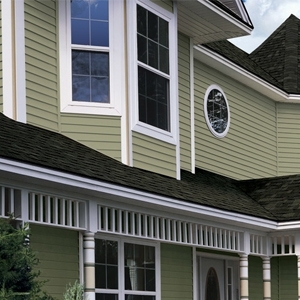 For beautiful, natural-looking vinyl siding that is virtually maintenance-free, turn to CertainTeed. 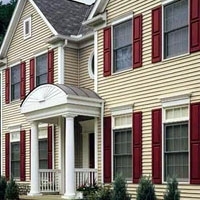 We offer a wide variety of siding styles, some reminiscent of cedar shake, others of traditional clapboard. 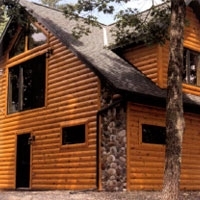 Authentic log look in a practical siding product. 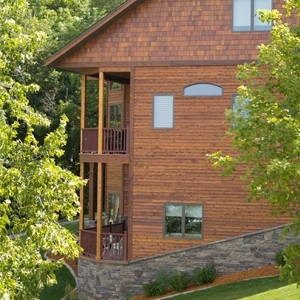 The North Country™ line of Log Siding and Accessories features a smooth surface. Available in both half and full log patterns and available in a variety of species. Residing with fiber cement gives a 25% better return than adding a bathroom. Extremly study and vibrant it stays beutiful for years to come. 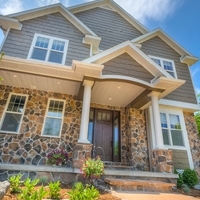 MainStreet™ offers consistent quality, good looks and is the ideal choice for homeowners looking for value with the benefits of a premium panel. 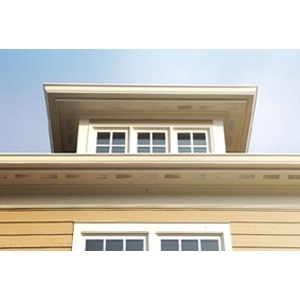 AZEK® Mouldings are the best looking, highest performing wood replacement line of cellular PVC mouldings available in the market. They won’t rot, crack or split and are impervious to moisture and insects. 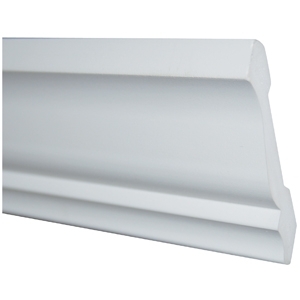 Available in the most popular profiles, AZEK Mouldings feature the same crisp detail found in wood mouldings with the longevity and durability that AZEK products are known for. 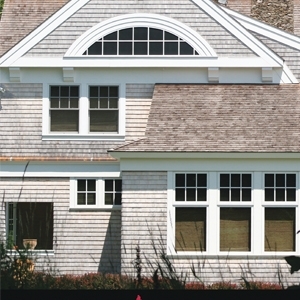 AZEK® Trim, with the AZEK Edge has precise sealed edges on all 4 sides (S4S), is ideal for window and door trim on the exterior of your house. 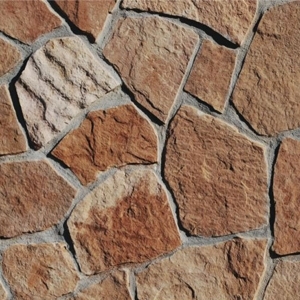 Long known for the unequalled combination of Uniformity, Durability, Workability, and Beauty. 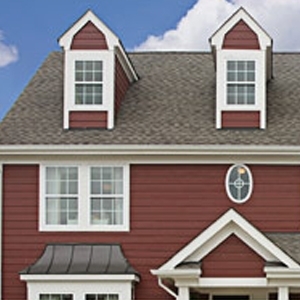 Our most popular siding. 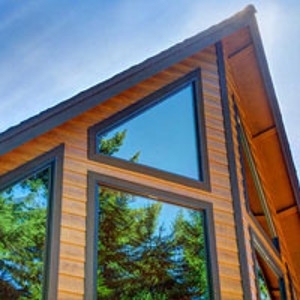 Easy Installation and the natural beauty of cedar makes it the 'Natural Choice'. LP® SmartSide® products deliver all the warmth and beauty of traditional wood, plus the durability and workability of engineered wood. Our SmartGuard® manufacturing process actually improves upon nature, creating products that are engineered for strength, performance and protection against fungal decay and termites.